Life was much simpler before running. Men could live their lives with 3 pairs of shoes; 1 pair of black work shoes; 1 pair of casual shoes for going out and 1 pair of trainers. Running has added a new level of complexity to my footwear choice when running. What is the terrain? Do I need Road Shoes or Trail shoes? What is my running style and preference? 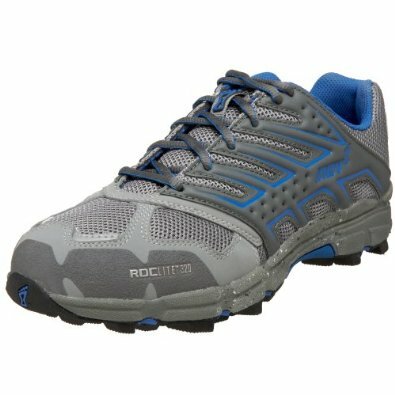 Do I need support shoes or neutral shoes? Should I go for a low drop of minimal drop or Hokas? How about weight, stability and grip? There’s a lot of specialism creeping into shoe design to cater for a variety of people’s needs (or so the marketing types wish us to believe). 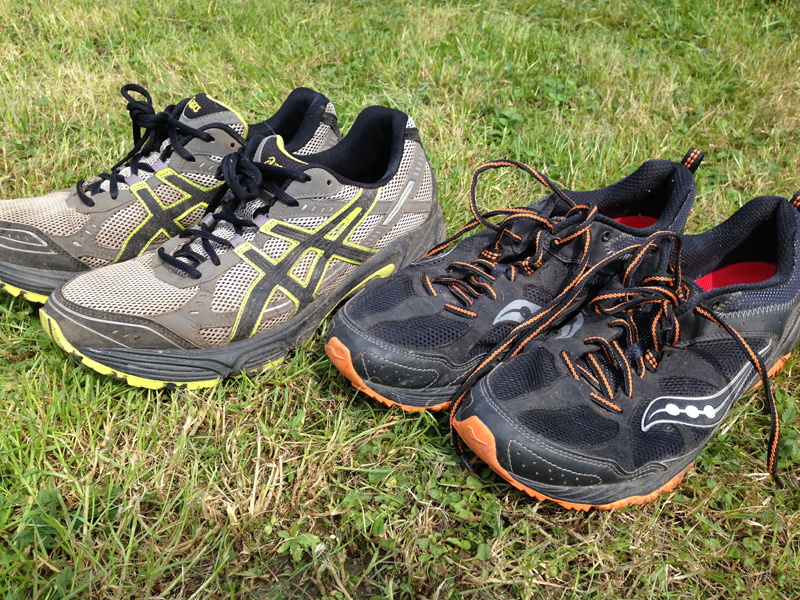 This is a blog about running shoes and a look back (possibly a belated review) of shoes I have used and worn over the last few years. It’s only during the latter stages of a shoes life when you can really form a good opinion as to their performance. Having run 500 miles in a shoe at different times, terrains, races and events is going to give you a much better opinion than getting them out the box, running 20-30 miles on the same local route. I’m going to sum up my shoe experiences into two sections Road shoes and Trail shoes. My first pair of road shoes was something from the Asics 1000 range shoe. I wanted to seek some expert advice about shoes when I first started running and went to the Sweatshop, was measured up, told I over-pronate slightly and sold an appropriate shoe. They were pretty good but when they came to the end of their useful life I went back to the Sweatshop and was swayed by the slightly cheaper price of an Adidas pair. I went from the 1000 range onto the GT-2170 which was a dream shoe. It was super cushioned and comfortable but perhaps not the lightest shoe out there. 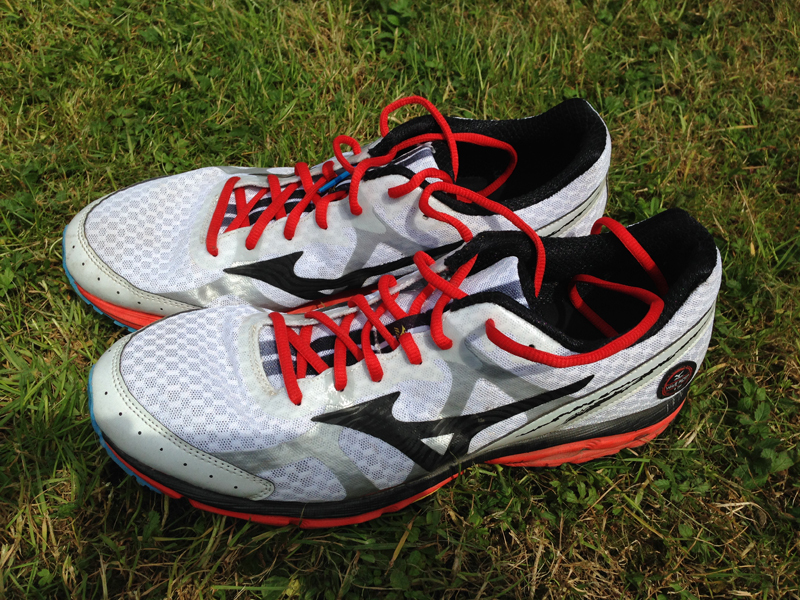 I didn’t realise how good this shoe was until it got me through the majority of the Thames Ring and Spartathlon. 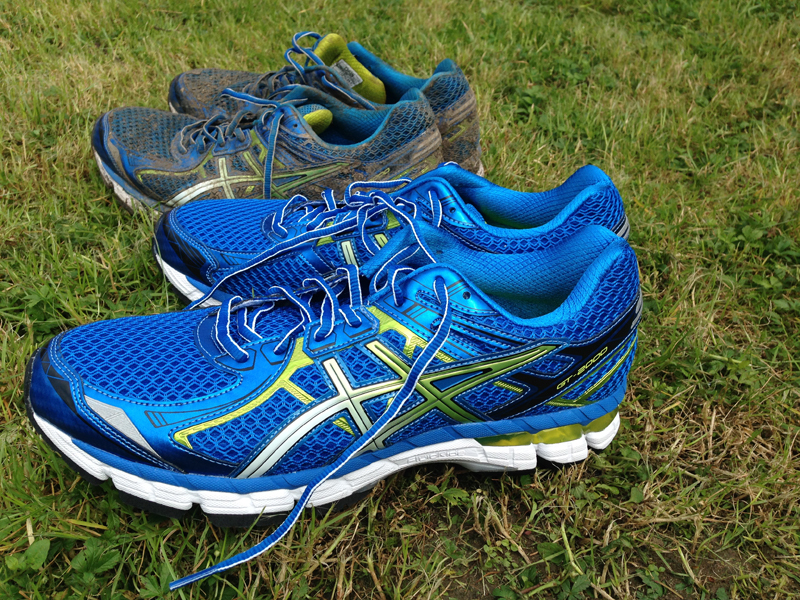 153 miles in the same pair of shoe should be all the confidence you need. As the shoe was coming to the end of its life, I found the GT-2170’s had been replaced by the GT-2000’s and bought some replacement without hesitation. Unfortunately, Asics had introduced some changes to the design and they didn’t feel as comfortable or as cushioned as the previous model. When the GT-2000 came to the end of their life, I desperately searched for anyone selling the GT-2170’s again be it old stock or eBay but with no luck. However, a bit of internet research revealed that there had been some negative feedback from runners on the changes introduced to the GT-2000 and as a result they would be bringing out a GT-2000 v2 model. I picked up a couple of pairs of GT-2000 v2 now (as I like to have two pairs on the go and alternate between them) which are my standard road shoe. Unfortunately, I could only find the blue pair at a reasonable cost and am waiting to find the white version in my size or I could look at a few of the options below. I managed to get a pair of these through some gym promotion deal and these are probably half-way through their life in terms of mileage. I’ve got on pretty well with these, they are comfortable, cushioned and haven’t given me any problems and I would definitely consider Saucony Road Shoes as an alternative model to the Asics. I was fortunate enough to be given a pair of these to trial and have worn them for a number of runs and races most notably the London Marathon, where I set a new PB so the shoes must be awesome. I hadn’t used the Mizuno Wave range of shoes before but since this appears to be on version number 17, I’m assuming they are a pretty popular make. From my current testing (and we are still at the early stage of their career) the key selling point for this model is the overall lightness of the shoe which is markedly lighter than my other road shoes. I’m having a positive experience with these shoes on short (i.e. up to marathon distance) runs but suspect they won’t offer the cushioning and support I look for during an Ultra length run. Hoka shoes have a reputation like marmite, you either love them or “hate” (well poke fun at) them. 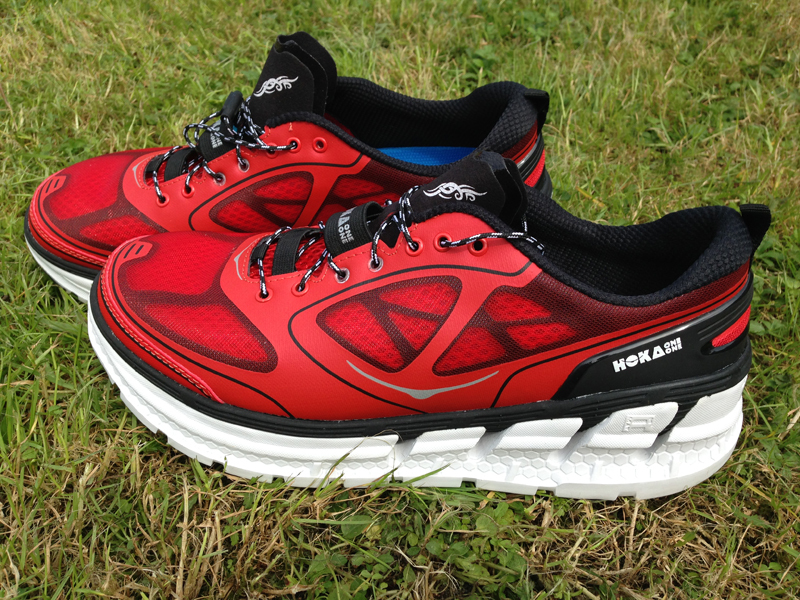 The Hoka is a maximalist shoe which was introduced in 2010 and seem to be gaining in popularity amongst Ultra runners. The Hoka is a range of over-sized shoes with wider platforms designed to offer greater levels of support, cushioning and stability for the runner. On the basis that they are reported to offer super levels of cushioning (which is a personal preference) then it makes sense to try them out. Thanks to the ULTRAmarathonRunningStore who have an extensive range of Hoka’s I now have the opportunity to trial a pair of thesethese. I’ve not had the opportunity to test these out yet, so my opinion has yet to be formed. This was my first trail shoe. They were nothing flash had reasonable grip and comfort but were perhaps not the lightest shoe available. 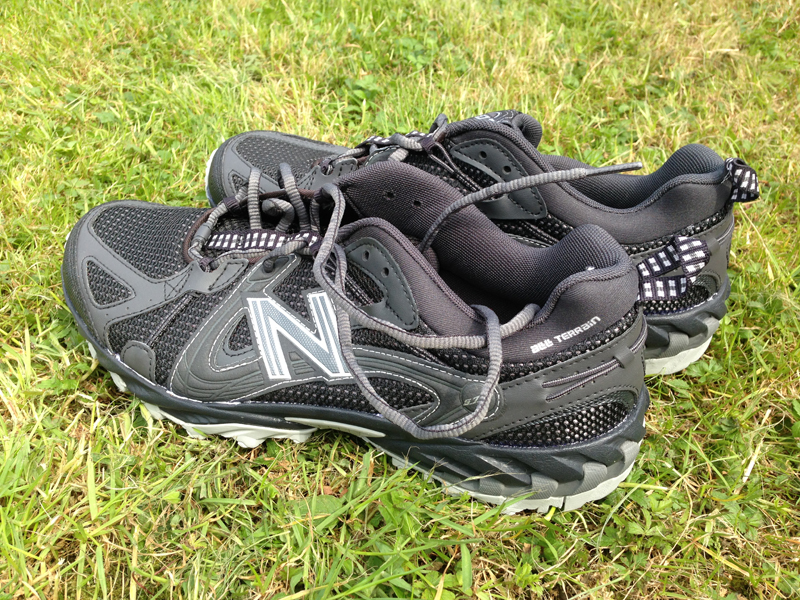 However, they were good value for money add lasting well and were not too expensive, I considered these to be a good all-rounder which I wore on canal paths, hard track paths, muddy trails and rockier terrain and they did the job. 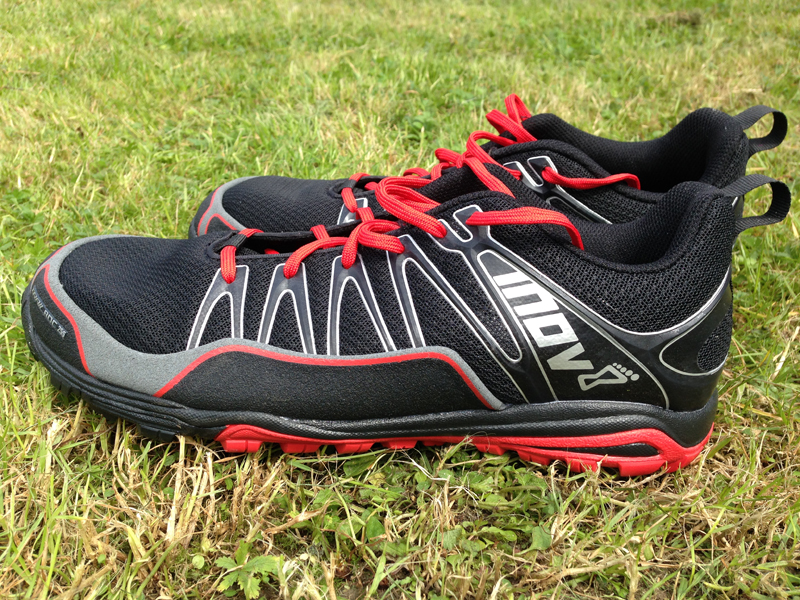 After going through about 3 pairs of these, this specific model was discontinued and I wasn’t really clear what model they were replaced with in the Inov-8 range and I moved onto different shoes. (A note to manufacturers that lots of models can confuse the customer). Scott are an American shoe manufacturer and their range are not that easy to get hold off in the UK. The T2 Kinabalu is a good all round trail shoe and I’m on my second pair of these now. I have found them to be very comfortable and can accommodate all types of conditions. The big test for me was 50 miles around Ceasars Camp where there is a mixture of easy paths, tracks, heathlands, muddy paths, and short rocky descents and they performed well. The only criticism I would is they lack good grip in muddy and slick conditions but aside from that they are good enough to be my “go to” trail shoe at the moment. The only other minor criticism is the colour range which are a little garish, I definitely wasn’t a fan of the orange and blue but the green with lime green markings are a touch more subdued. I have three categories of running shoes; road shoes, light trail shoes and trail shoes for muddy conditions because I have an unfortunate habit of being involved in races involving lots of rain and mud. 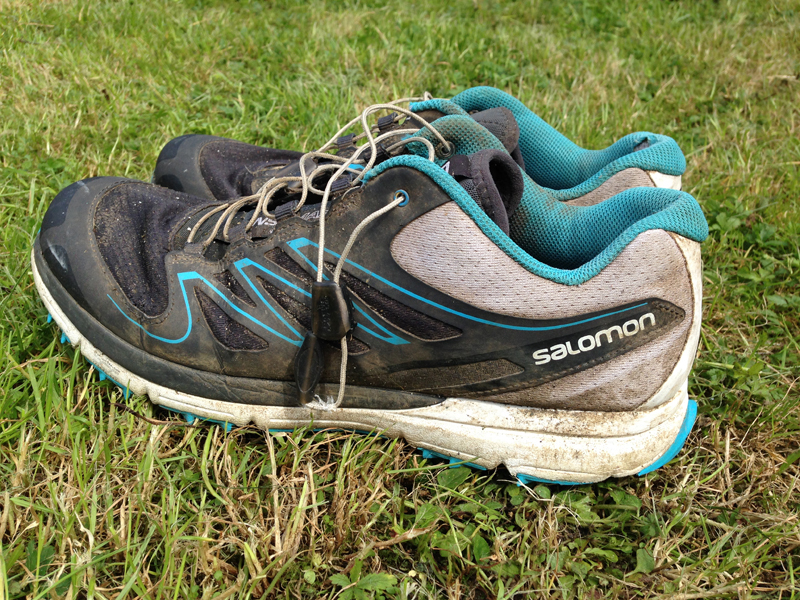 I originally purchased the Salomon Speedcross 3 as my “heavy” trail shoes for those races where conditions were grotty and wore through a pair of these on training runs and several races with their final outing at a pretty muddy Winter Tanners event. I’m sorry to say I didn’t really get on with these at all and found them to feel too firm and lack cushioning on the soles of the feet and these shoes have now since departed. 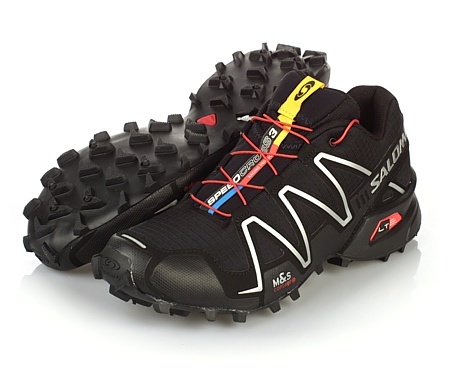 Another Salomon pair of shoes and one which I’m sitting on the fence over to be honest. If I was judging the shoes on looks and appearance well these lightweight trail shoes score highly as one of my favourite looking runners. They also feel like they offer good control and grip. However, in use I felt them to be a little firm and lacked that cushioned feel. 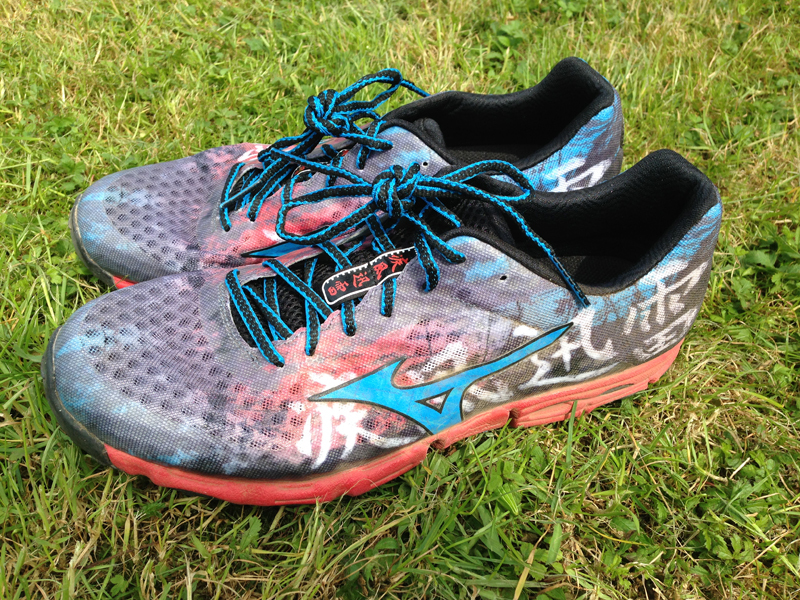 When I was running along hard or firm paths the shoes felt like they used to slap down on the surface. This may be because they have a slightly lower drop and my running style has had to adjust to them. However I have put in 200-300 miles with these but still use them frequently on shorter runs so I’m not quite willing to discard them just yet. I bought a couple of pairs of these literally 2 years ago from an online shoe store when they were dirt cheap (about £30 quid a pair). 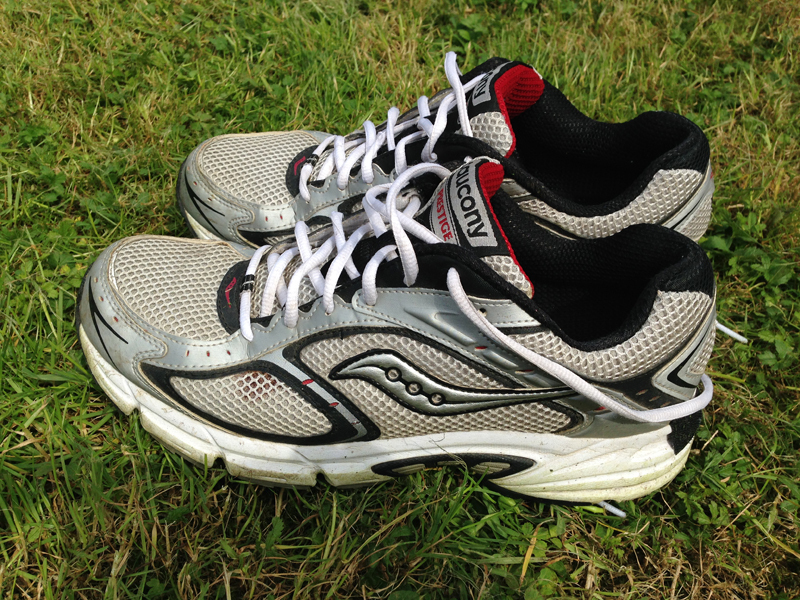 I was a little fed up of paying an increasing amount of money for my shoes and wanted a couple of cheap but comfortable pairs that I could use for general training and weekly mileage whilst “saving” the more expensive shoes for racing. I don’t have any complaints about these, they were inexpensive, comfortable and did and adequate job for me along the river paths and trails near me home. I’ve always fancied a pair of these but have been really put off by the near £100 price tag. However, I found a pair of these at a bargain price a little while ago and quickly snapped them up. I’ve yet to try these at all and so they sit in the “to test” pile but the intention was to just use them for the worst of the worst runs with their good grip. Looking very “street” but designed for the trails, these are a light weight trail shoe much like the Mizuno Wave Rider. I was fortunate to be provided with a pair for trial and have used them on a handful of occasions to date but it’s still early days. I’m not a massive fan of the funky and garish design to be honest but it’s the performance that counts and these feel comfortable and light and are going to get a decent test at the upcoming Run 24 event which is a multiple lapped event across light trail paths. I’ve entered into a relay team of 5, so light weight, good control and some (relative) speed is the order of the day here. However, I’m not sure I would use them on a long distance Ultra where I would favour something with more cushioning. There’s probably a few other pairs I have used in the past, the only ones I can still find are a pair of Asics & Saucony trail shoes both of which were purchased for training miles because they were dirt cheap at the time. All of the above feedback is based on my personal experience and preferences. It’s clear there is a massive range of running shoes catering for all different types of running styles and terrain and it’s easy to fall into the habit of looking at purchasing different shoes for each trail race where conditions are always slightly different. As a reasonably high mileage runner I’m going through more and more pairs so that has meant more pairs, more cost especially as prices seem to have been creeping up to the £100 plus point which is a lot of money. So what does this all mean for my future buying habits? In a perfect world, I would have a favourite pair of road shoes and a favourite pair of trail shoes which could cope with all sorts of terrains and I could buy these at a reasonable price each year. In practice, shoe manufacturers have to be seen to innovative their designs, add and promote new features, update their models in order to be competitive in this market. I like to keep things fairly simple, if a shoe is comfortable and I’m not going to slip over due to lack of grip then they will do. For a lot of the summer trail runs, you could actually wear Road Shoes (I wore my Asics GT-2000v2 for the recent Winter 100 and GUCR). However I am fairly price sensitive when it comes to buying shoes especially as I know I will only be getting six months use out of them at the most. Therefore whilst I would be happy to stick to an Asics range of road shoes, I could easily swap to the Saucony or Mizuno model for example if I found prices to be more competitive. With Trail Shoes, I have found to harder to settle on a favourite model to be honest. 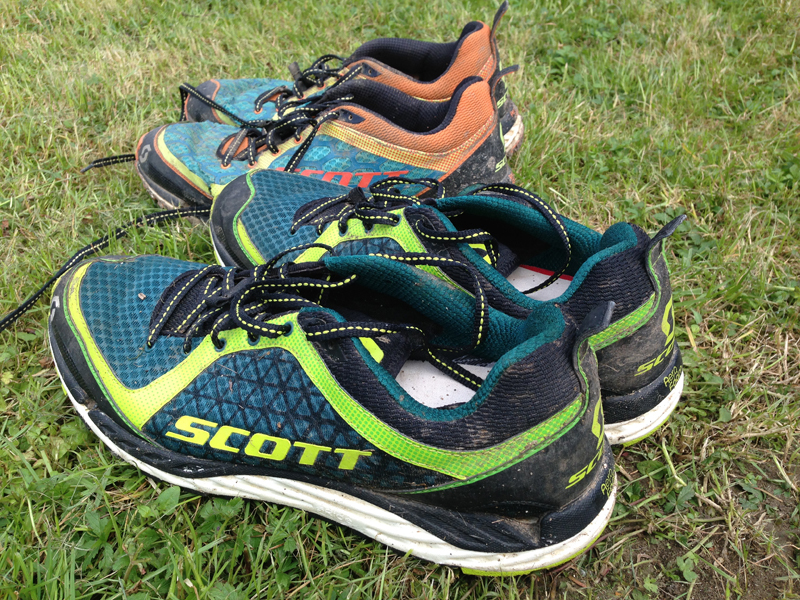 I do like the Scott T2 Kinabalu which is my current go to shoe as I find these to be a good all round shoe which can cope with most terrain and conditions apart from heavy mud where the grip isn’t fantastic. However, I am likely to be swayed largely by price, suitability and availability so I’m not fixed on a certain shoe (subtle hint for a shoe deal from some kind manufacturer!). I hope you have enjoyed the shoe review/blog. Nice one,A few I hadn’t heard of, as my running has changed …so has my shoe choice I guess…. The Asics GT 2000 is my best friend too! I’ve tried most of these over time too, with the exception of your favourite Asics. I used the Sense Mantra for the GUCR and they were great…but the towpath was also pretty wet/ soft this year. Possibly not so good had the weather been dry. Thanks Guy, I might just do that but the results are pretty obvious.